The 2017-18 NBA season ended with yet another Golden State Warriors championship, as they topped the Cleveland Cavaliers for the third time in the last four years. While plenty of questions remain unanswered entering the offseason, attention has already been turned to the 2018-19 campaign. Omnisport's Alec Brzezinski makes 10 predictions ahead of the new season. 1. 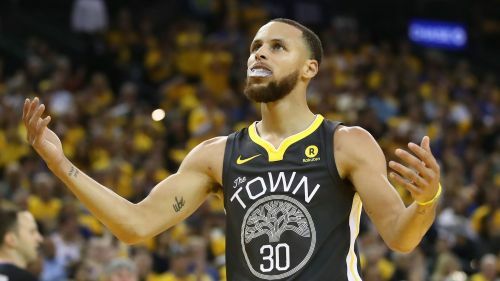 The Warriors will win another championship — Death, taxes and the Warriors will reach the Finals. Those are the things we have come to expect as reality, with few teams capable of stopping Golden State's freight train of dominance. As long as Stephen Curry and Kevin Durant have other pieces around them, they will be favourites to win it all. 2. LeBron James and Kawhi Leonard's decisions will reshape the league — It appears both James and Leonard could be on the move this offseason, with the former almost certainly leaving the Cavaliers. Leonard endured a difficult season of injuries in San Antonio this season, but there was plenty of controversy regarding the severity of his injury and when he could have returned to action. If a team can acquire one or both of these elite forwards, they would instantly become Finals contenders. 3. The Suns will make the playoffs — Yes, after a couple years in the cellar among the league's worst teams, the Phoenix Suns will put it all together and sneak into the postseason. With Devin Booker, Josh Jackson and Dragan Bender teaming up with rookie DeAndre Ayton (who seems confident he will be the top pick), the Suns look poised to make a big jump. Adding a veteran point guard will be key, and they've been linked with DeMarcus Cousins and Karl-Anthony Towns. Things are definitely moving in the right direction for the Suns. 4. The Raptors will regret firing Dwane Casey — Likely to become the next Detroit Pistons coach, Casey was harshly let go by the Toronto Raptors after crashing out of the playoffs at the hands of LeBron James and the Cavaliers. Toronto decided to make Casey the scapegoat for missing out on another NBA Finals. The real problem, however, was the declining play of Kyle Lowry and the team's failure to consistently hit from three-point range. If the Raptors fail to address roster needs, they will again come up short next season. 5. Marvin Bagley III will win Rookie of the Year — It's impossible to predict who NBA scouts will covet as "upside guys." Bagley, a 6ft 11in athletic freak who averaged 21.0 points and 11.1 rebounds per game last season at Duke, screams upside. However, many feel he is a finished product who will struggle in the NBA. Nope, Bagley is just a great basketball player who will get it done in the NBA next season, averaging over 15 points and 10 rebounds per game. 6. The Mavericks will return to relevancy — After a gruelling 24-58 season, the Dallas Mavericks earned a top-five pick in this year's NBA Draft. What they do with that pick could have a trickle-down effect on their immediate future. The Mavericks have been linked with DeMarcus Cousins, who reportedly could earn a max contract despite missing the second half of the season with an Achilles injury. Dallas could draft Michael Porter Jr. in the first round, and adding Cousins would make them a formidable duo. With Dennis Smith Jr. already on the roster, things would be looking up for Mark Cuban's team. 7. Gordon Hayward will help the Celtics reach the Finals — The former Butler product was a winner under Brad Stevens in college, and will be again in the NBA. A freak ankle injury forced Hayward to miss all but a few minutes of the 2017-18 season, but all signs point to a healthy return by next fall. Boston will also get Kyrie Irving back, giving them a likely starting lineup of Irving, Hayward, Jaylen Brown, Jayson Tatum and Al Horford. In a weak Eastern Conference, that should be enough to make it through to the season's final series. 8. Victor Oladipo will contend for MVP honors — In his first season with the Indiana Pacers, Oladipo made his first All-Star team while nearly eliminating James and the Cavs in the first round of the Eastern Conference playoffs. Oladipo averaged 22.7 points and 8.3 rebounds per game last season after joining Indiana as part of the Paul George trade. Many thought the Thunder got the better end of that deal, but George looks likely to leave Oklahoma City after one season, while Oladipo has become the face of the Pacers' franchise. 9. The Rockets will again come up short — This finally seemed like the year they would beat the Warriors and finally give fans a different NBA Finals matchup. However, Chris Paul's untimely injury and Harden's memory loss on shooting the basketball ended their hopes. With Clint Capela and Eric Gordon finding their form, this team has the makeup of a championship team, but there is always something holding them back. 10. The Cavaliers will miss the playoffs — It seems inevitable James is headed out this offseason, likely ending his two-stint career in Cleveland. The team will then have to decide if it wants to keep Kevin Love, or trade him for picks. Guys like Jordan Clarkson and Rodney Hood could become primary scoring options, but that won't be enough to keep fans happy. Next season could begin a long rebuilding period for a franchise that has relied heavily on James.